Juvederm and Restylane, injectable fillres, smooth lip wrinkles and enhance lip definition. Juvederm and Restylane Injectable fillers. There seems to be a bewildering array of choices when it comes to injectable fillers. We can help you select which one is best suited for your cosmetic goals. 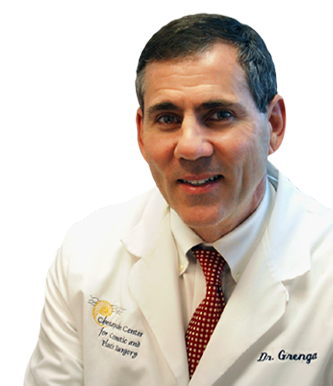 Let Dr. Grenga’s extensive experience with injectable fillers benefit your appearance. At you initial consultation, he will evaluate your goals, review your medical history, thoroughly examine your facial area and then create a treatment plan that best suits your needs. JUVEDERM® and RESTYLANE® Juvederm XC® and Juvederm VolumaHC® are among the most frequently used products in our practice. Both are composed of hyaluronic gel which matches the composition of your tissues perfectly. These fillers are made by the same medical products company that produces BOTOX Cosmetic® and Latisse® for stimulating longer eyelashes. The soft tissue fillers that the Chesapeake Center for Cosmetic and Plastic Surgery provides are used to fill deep creases and hollow areas, augment deficient lip volume and diminish laugh lines. They are frequently combined with the injection of BOTOX Cosmetic® to ease the muscular contraction which leads to the formation of wrinkles and creases. With a program customized for your individual goals, you can expect to continue looking your best for years to come! Injections OF Juvederm® AND Restylane® are usually conducted at the time of the initial consultation but you can also arrange for it to be injected at a time more convenient for your schedule. Dr. Grenga is known for his comforting technique when injecting soft tissue fillers. Contact us today to schedule your consultation for Juvederm® and Restlylane® with one of Hampton Roads most experienced plastic surgeons. Restylane ® is a naturally occurring gel, much like the material already present in the connective tissue of the lips and other areas of the body. 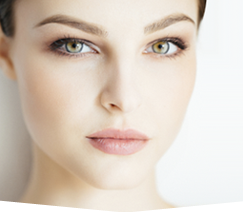 This brand of injectable filler does not require a skin test before we can use it for you. The most significant difference between Restylane and the collagen products is that the clinical studies that have been performed show that Restylane appears to last longer– possibly up to one year vs. about 4 months for the collagen injectables. Once Dr. Grenga has checked to assure that you can proceed with injectable collagen or Restylane, you may have these performed right in the office, and usually able to go right back to work or to your next stop! Collagen will not tighten the skin or help you deal with damage from sun or smoking. It can be an excellent way to tidy up the smaller lines before going on to your facelift, laser resurfacing, or chemical peel. Thinning of the lips is among the most common reasons why Dr. Grenga performs injections of collagen and Restylane at our center. This attractive woman shown in the first before/after photo has gradually developed a thinner upper lip. Restoration of plumper, younger appearing lips is shown, on the right, after a single session of injectable fillers. The fine lines which were present at the junction of the pink part and the skin are significantly decreased after injection. Definition of the outline and better “pout” is produced also. When adequate volume or balance exists, injectable fillers such as Juvederm®and Restylane® can enhance lip definition even more. Injectables have the advantage of not requiring the downtime associated with surgical insertion of permanent implants. Adjustments to the shape and plumping of the lip are significantly easier with injectable fillers such as Juvederm® and Restylane® as well. Note the enhanced definition of this young woman’s lips after her successful Restylane injection. Injection of the lips is custom created by placing a filler such as Restylane into the parts of the upper and/or lower lip that are to be enhanced. Individual components of the lips can be addressed, or the entire lip can be filled to a plumper, more youthful look. The women shown here have had injectable fillers with Juvederm or Restylane, among of the newest and most versatile injectable agents for plumping and shaping the lips and other facial soft tissues. Each are shown before and at least two weeks after injection. The placement of injectable fillers itself is performed by Dr. Grenga, an Expert Injector, under a local anesthetic to make the procedure go more comfortably. The “down time” is brief, usually limited to self-limited swelling, that may last only a few days or so. You’ll be able to see your result from injectable fillers almost immediately. The individual shown above possesses thinned lips and some creases in the upper lip that are the result of soft tissue atrophy, a normal process of ageing. The lines on the upper lip are commonly called “smoker’s lines” but many of Dr. Grenga’s patients with these annoying wrinkles are not smokers at all! The Restylane injection helps to soften the deepest of these wrinkles and at the same time restores some volume to the thin lips. Learn more about Juvederm ® here. Learn more about Restylane ® here.